The Fourth of July is a time for Celebration in this country. We throw burgers on the grill and send fireworks into the air. I had planned to write a moving soliloquy about Combat Veterans who are living with and suffering from Post Traumatic Stress Disorder (PTSD) and Fourth of July fireworks. You would have loved it! But while researching I realized that it is not my place. Instead I will simply urge that we all be considerate of those around us and try to limit the explosive part of the celebration to the 4th only. 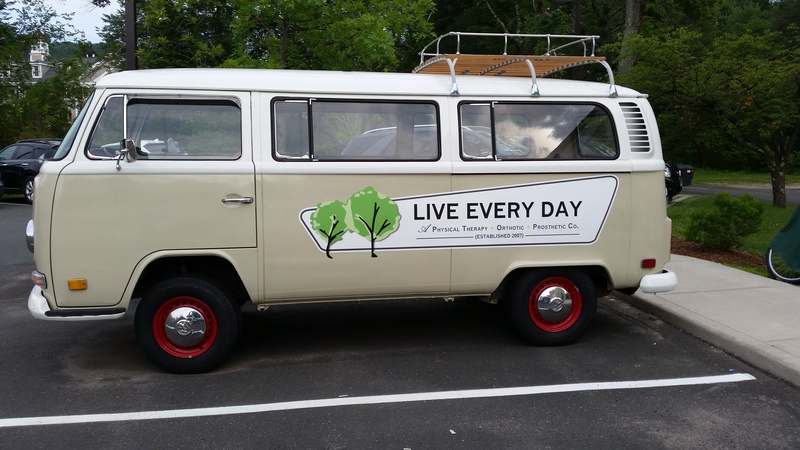 I met Sara at “Live Every Day” Physical Therapy in Simsbury on Tuesday. I have to say that this was by far the coolest medical office I have ever been in. They exude personality which is evident in their Volkswagen Retro Mini-bus! The staff was so nice and personable! I felt like I was visiting a friend’s house more than I was visiting a medical office! Sara is my new BFF! She did a thorough exam of my neck, shoulders and spine and determined that the Degenerative Disc Disease that I was diagnosed with last week is really not an issue. I did what we are always warned against and googled “Degenerative Disc Disease”. It really does sound worse than it is. In a nutshell, I am getting older (I had a feeling when my friends threw that big Birthday party back in February ;-)). Sara was able to determine that my pain is coming from severely tight and knotted muscles around my neck and shoulders. She talked with (not to) me extensively about treatment and restrictions. We are going forward with some deep tissue massage, heat and limited exercise . She gave me the okay to run and ride a bike but I have to wait a little bit before I start incorporating weights back into my routine. I cannot express how happy and relieved I am to know that I will be able to get back to my normal workouts. Being sedentary for the past week has made me a grumpy cat. I need my Endorphin’s! Also on Tuesday I had THREE books that I had pre-ordered months ago delivered to my kindle. I love it when a book magically appears, especially when I wasn’t expecting one, let alone three! 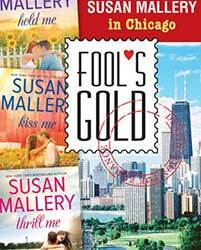 One of the reads was Susan Mallery’s latest installment to the “Fool’s Gold” romance series that I enjoy. I have been reading this series for years now. It is always exciting to have the latest story magically pop up on my kindle. What shenanigans will the citizens of Fool’s Gold get themselves into next? I can’t wait to find out! 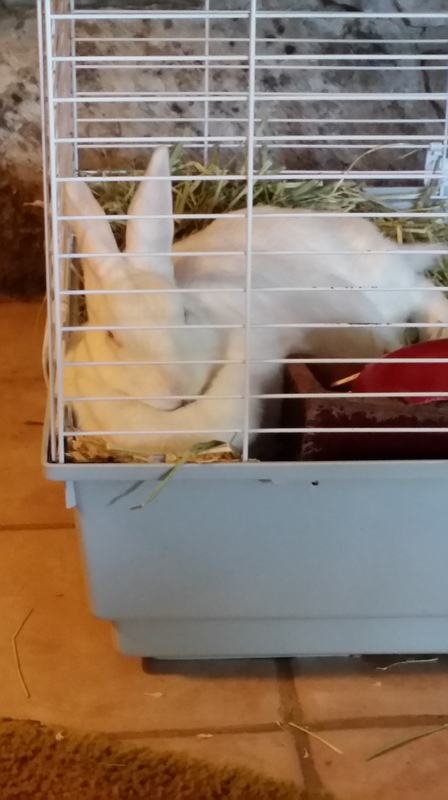 BONK is the Bunny of the week this week! She is sitting here with me trying like mad to stay awake, too cute. Any Fourth of July celebrations planned? Have you ever had physical therapy / did it work for you? 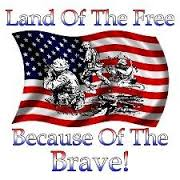 Happy 4th of July weekend… I agree with your comments about our soldiers & veterans. PTSD is real and not fun to live with. My brother, who fought in Iraq, struggles living with PTSD. He used to LOVE fireworks but now they are dreaded. On a happier note… Bonk is cute! Love it! Hannah went there for physical therapy for awhile, WE LOVE THEM! I’m so glad the mystery is solved. Bonk IS cute! Ha!